I’ve got a bunch of images to share from my time at this island this winter. It keeps pulling me back. Although the location is the same I feel like the changing light and foregrounds tell different stories. 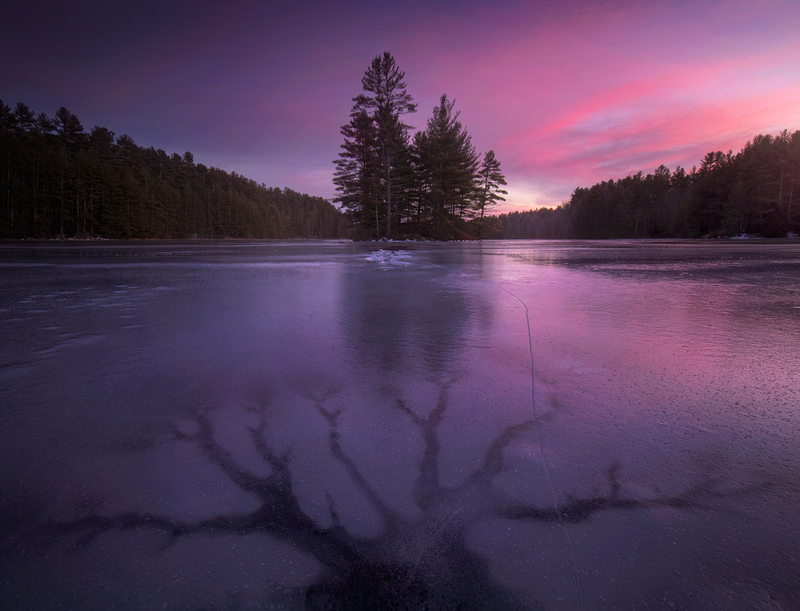 A lesson I’ve been teaching for 20 years... just because you’ve been to a place once or a dozen times don’t ever think you’ve seen all it has to offer :-) This is what happens after a frozen lake is blanketed with a foot of wet snow that freezes and is then followed by warm temps and 2 inches of rain. These amazing holes form where the rain water collecting on the surface drain through the ice. There were so many interesting foregrounds here that I returned every chance I could for another week until a new snowstorm buried them forever. The composition I’ve captured here over the last month are some of my favorites partly because they will never happen again! Ever!